The Bellandur lake, know as the ‘Lake of Fire’ is the biggest lake in Bengaluru city. Although a few small lakes have been preserved as picnic spots, this one has been left to rot. The lake caught fire on 17th February 2017, releasing lethal amounts of toxic smoke into the atmosphere. 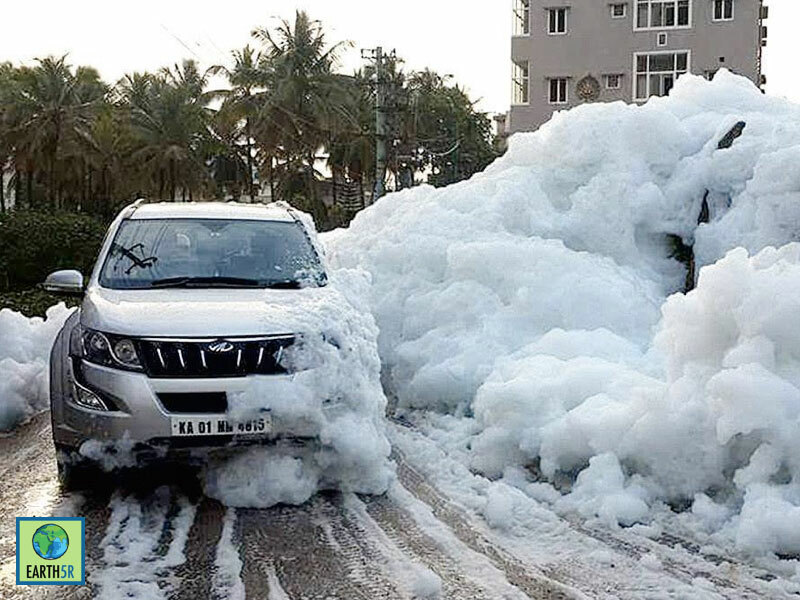 Though the residents near the lake are accustomed to seeing foam flying out of the lake, it was disturbing for them to see the fire and clouds of smoke billowing into the air. 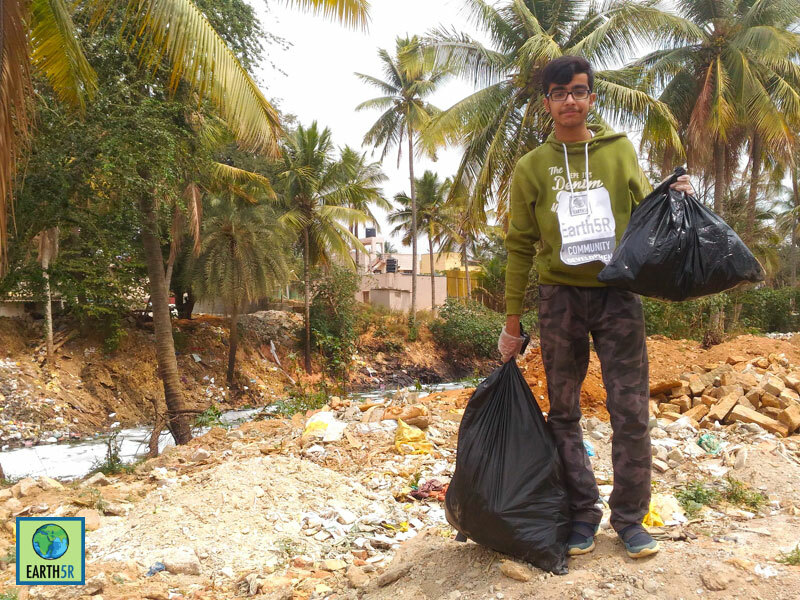 The city needs proper care, and as Earth5R gears up for the cleanup drive under the project ‘Lake of Fire’, Pushkal Khurana and Shaivya Sahare from the Bangalore team of Earth5R conduct a cleanup and survey of the lake and surrounding areas to present you the findings in this report. The lake survey was designed to determine the root causes of the fire in the lake, and the sources of pollution. 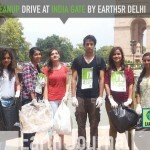 By tackling these causes, Earth5R intends to prevent similar incidents happening in the future. The Bellandur lake spans an area of 361 hectares, roughly the size of 400 football fields. 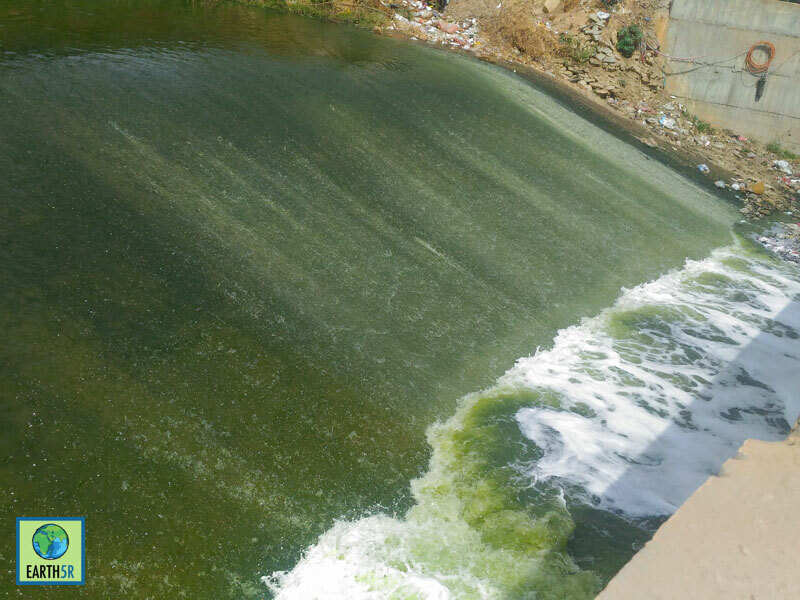 Water from the lake ultimately goes into the Pennar River, after flowing through Varthur Lake. 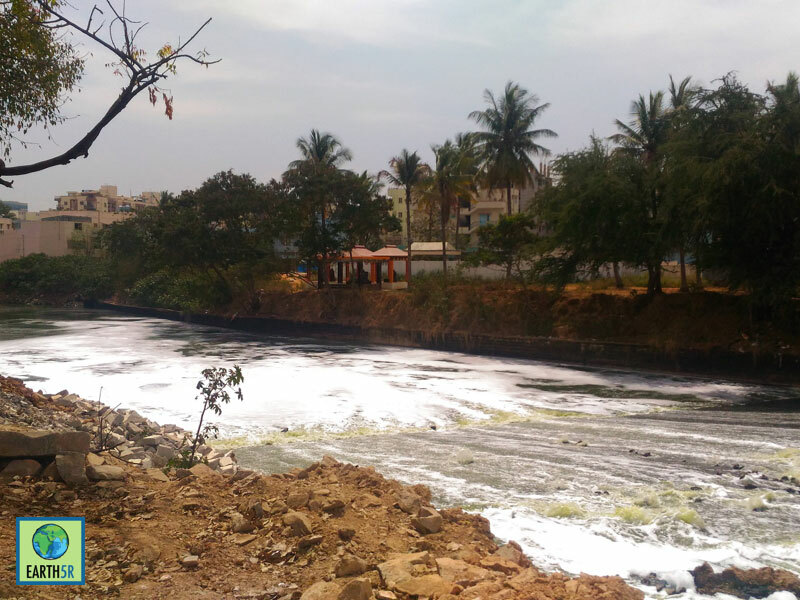 Ever since industrialization and the IT boom hit Bengaluru, Bellandur lake has been taking its toll. Toxic waste and sewage water have been dumped into the lake for two decades. 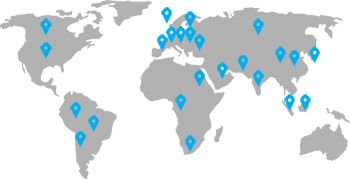 We talked to the residents near the lake and scanned the areas where the lake borders the city. We found that the vendors in the nearby areas were also dumping their waste into the lake, and onto the garbage pile near the lake. No garbage bin was found in the vicinity. And a garbage truck only picked up some garbage once in weeks. 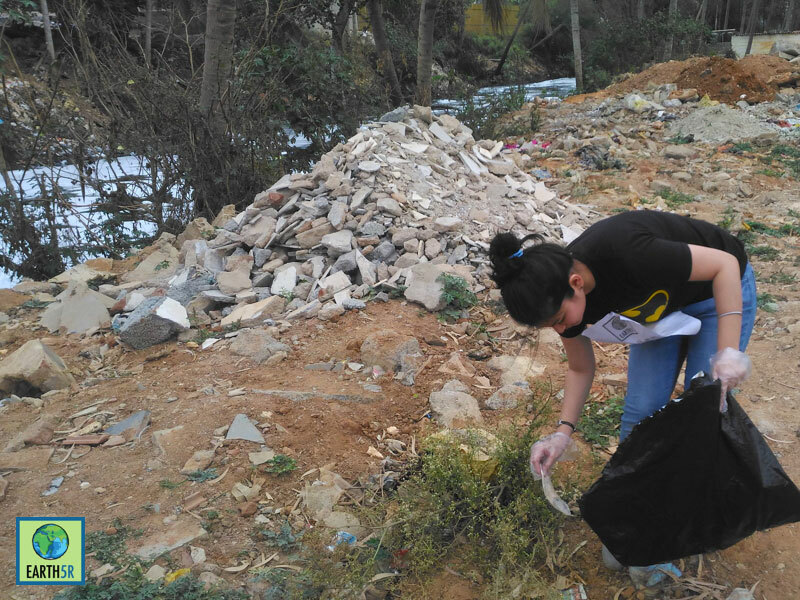 During this visit, volunteers from Earth5R also cleaned the garbage pile accumulated near a bridge crossing over the lake water, near urban residencies. Bags of garbage filled with discarded clothes, plastic bags, scraps of plastic, and bits of broken porcelain were collected. 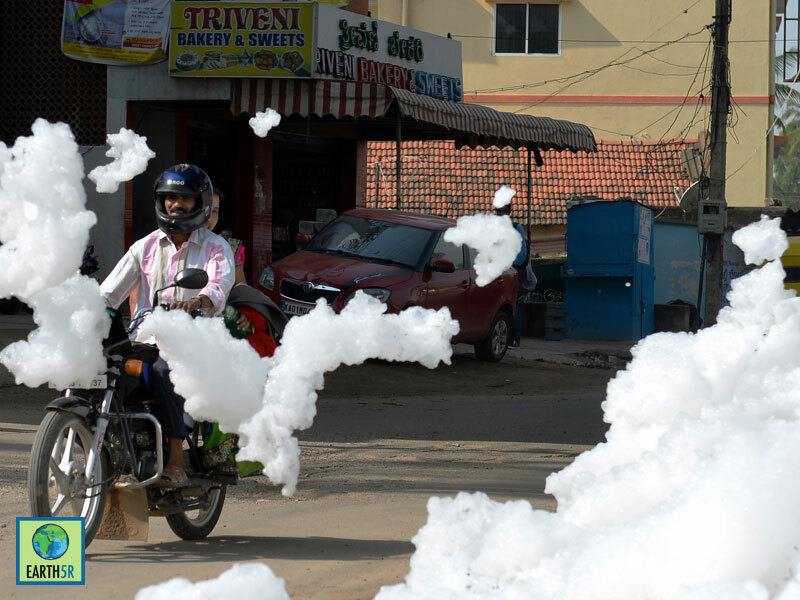 During the rainy season, the toxic foam that accumulated in the lake would come up onto the roads, causing great health risks. The water had a rotting sewage smell and was green in color. The concrete near the lake was covered in algae. Plastic containers, vegetable waste, and cloth could be easily seen floating in the water or accumulated near the edge of the stream. People in establishments near the lake are taking in more toxic gases and chemicals that are prone to respiratory diseases. 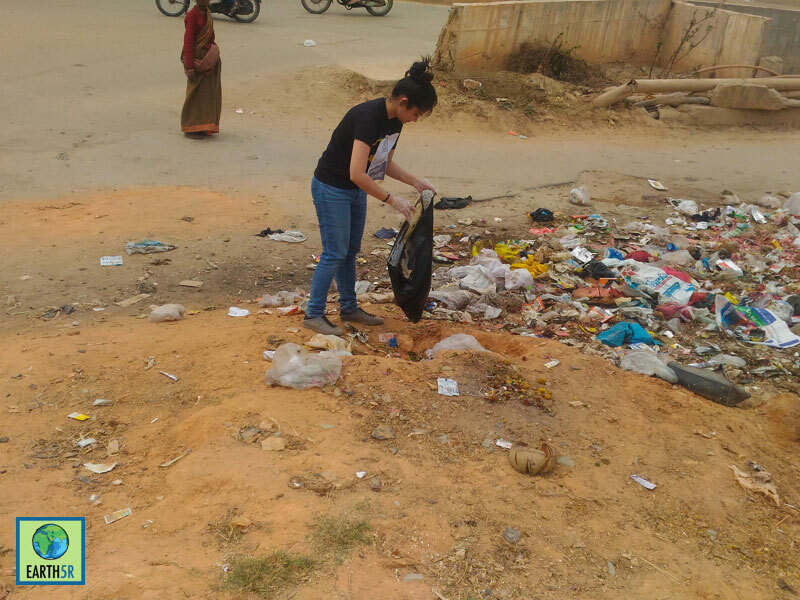 The animals, such as cows and dogs, that often eat from the garbage piles are also prone to death by choking on plastic. 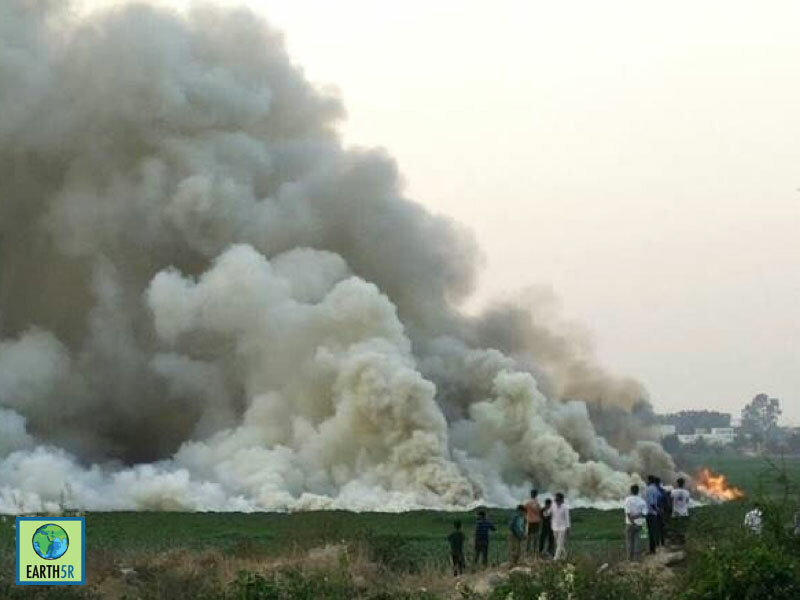 It is interesting to note that this is not the first instance in history where a lake has caught fire due to the rising levels of pollution. The Cuyahoga River in Cleveland, Ohio caught fire due to oil spillage in the 1960s. 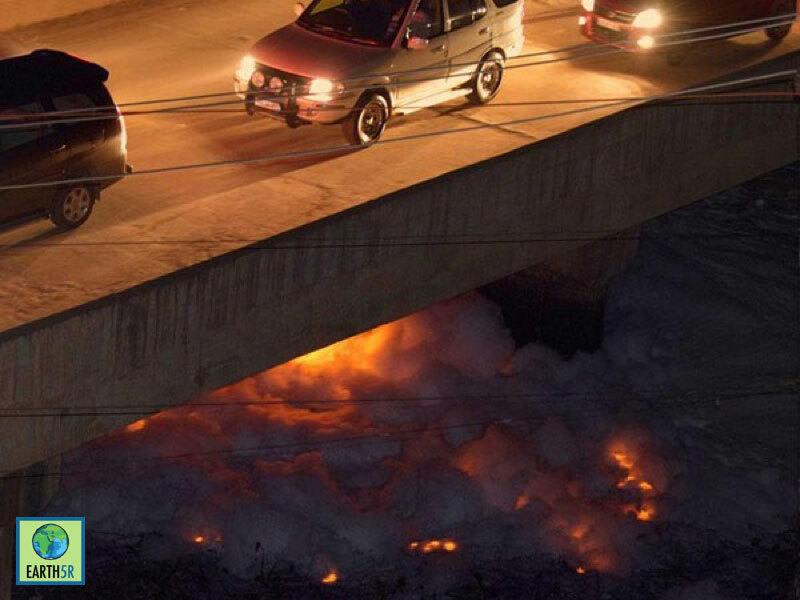 The cause of the fire was much the same – industries releasing untreated waste into the river. The Cuyahoga River was then an illustration of environmental pollution, that went on to become the turning point for the American environmental movement. Cleveland’s residents came together and collectively passed an initiative to start the Cuyahoga river cleanup. The industrial waste has been finding its way into the lake for over 20 years. Harmful gases like methane and phosphorus are believed to be released in impermissible amounts near the lake. These, combined with the oil covering the water’s surface easily make for a fire-prone site. The garbage piles near the lake’s perimeter also serve as a trigger for the fire. 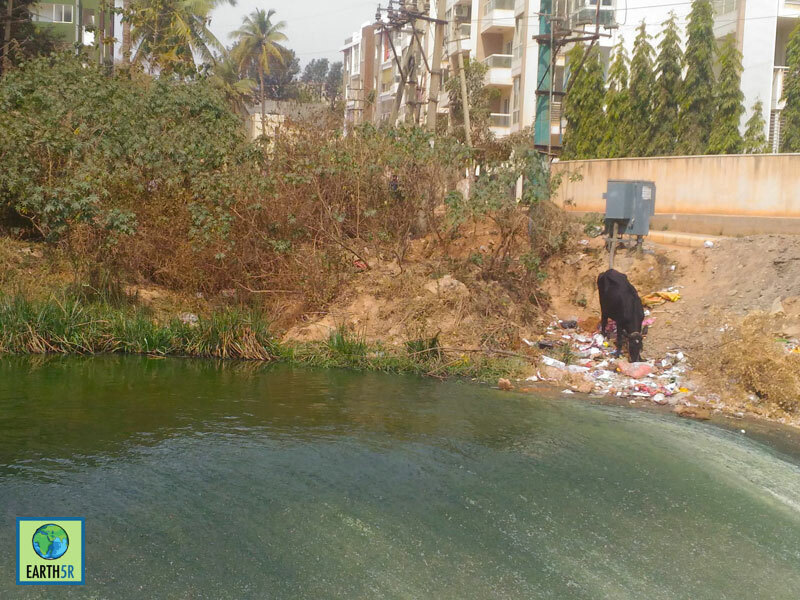 The sewage waste from households in the nearby residential colonies adds to the pollution, aiding the algal bloom and harming the lake ecosystem. 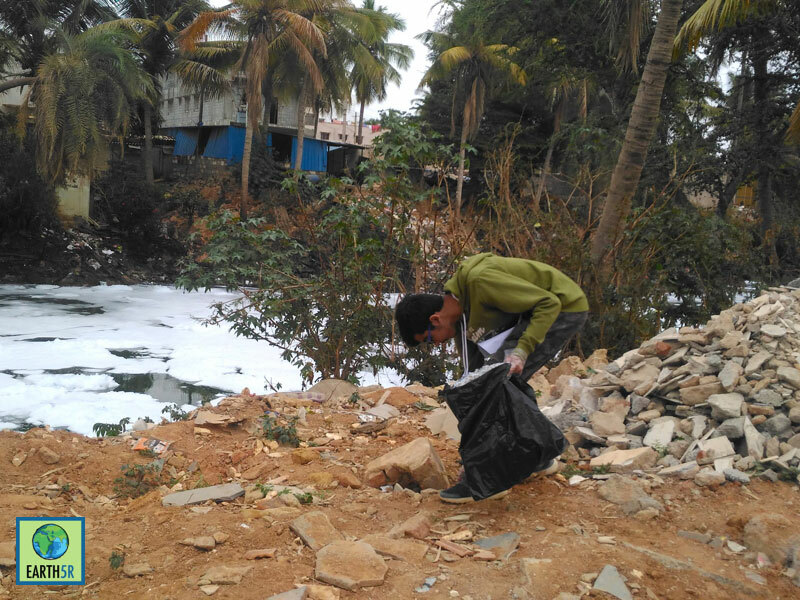 Though the government has taken small steps to curb the symptoms – like building a fence around parts of the lake – the industries that are dumping their waste into the lake have never been asked to stop. 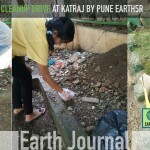 If we are to clean the lake, the chemical waste must be treated before it reaches the water. A proper waste disposal system needs to be in place to ensure no more garbage accumulates near the lake after the cleanup. Sewage waste must be diverted to sewage treatment plants, instead of being diverted into the lake. The irony here is that usually water from lakes is used to extinguish fires in emergency situations. But when the lake starts catching fire, it is truly a symbol of the harm that humans have caused the environment. 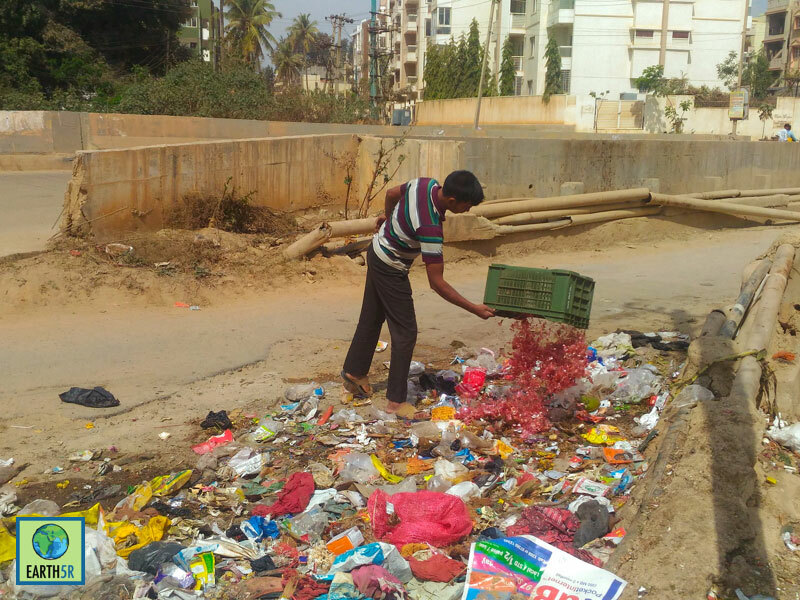 The state of Bengaluru is not very different than what Cleveland’s was in the 1960s. 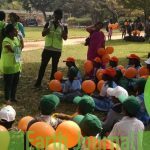 That was the beginning of an environmental revolution. 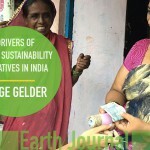 And the recent fire must be the start for Bengaluru’s environmental movement. 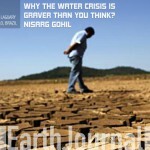 It must be now when the people realize the need for environmentalism. 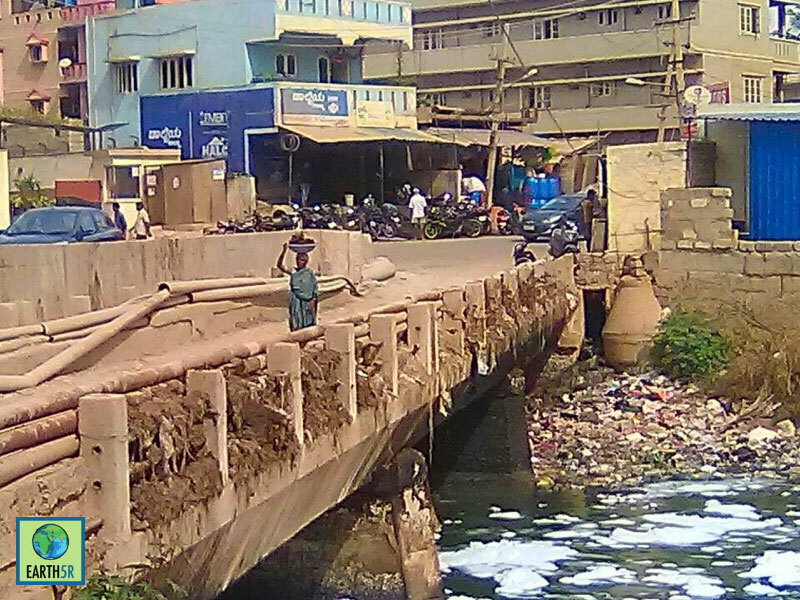 Bellandur lake is a far cry from being clean, but this is the turning point that goes down in history as the day we extinguish the lake of fire. 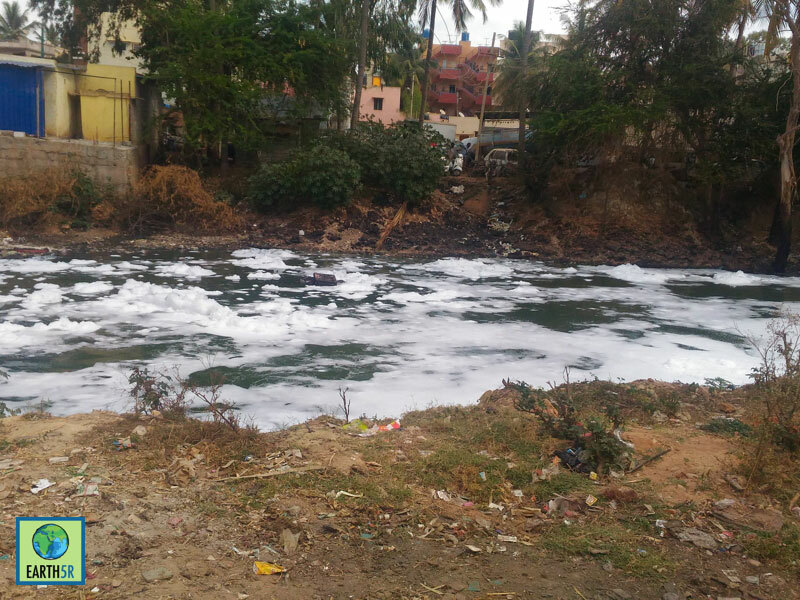 No Replies to "'Lake of Fire'- Bellandur Lake Cleanup at Bangalore"